WIN! The Latest Adidas Golf Japan Collection 2016 worth S$350 each! Simply tell us (in not more than 50 words) what you love about the new Japan Collection! 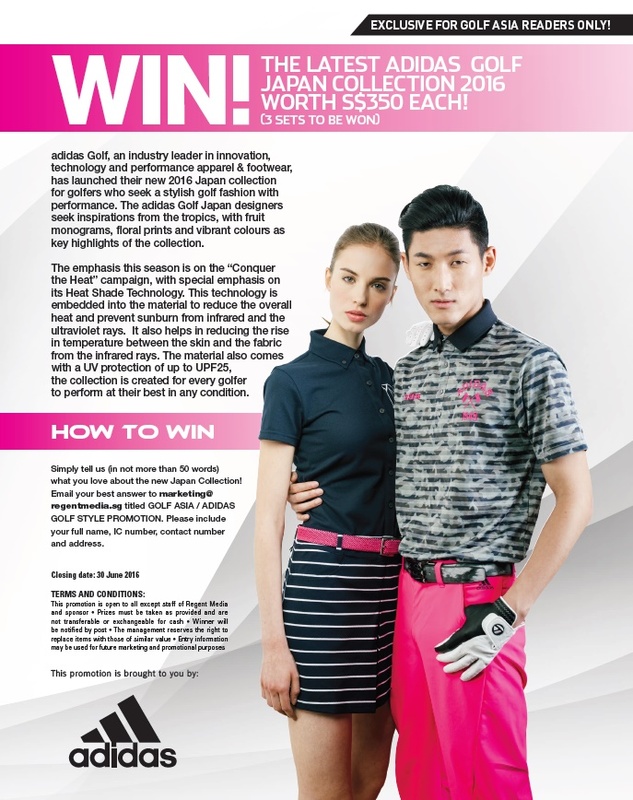 Email your best answer to marketing@regentmedia.sg titled GOLF ASIA / ADIDAS GOLF STYLE PROMOTION. Please include your full name, IC number, contact number and address.